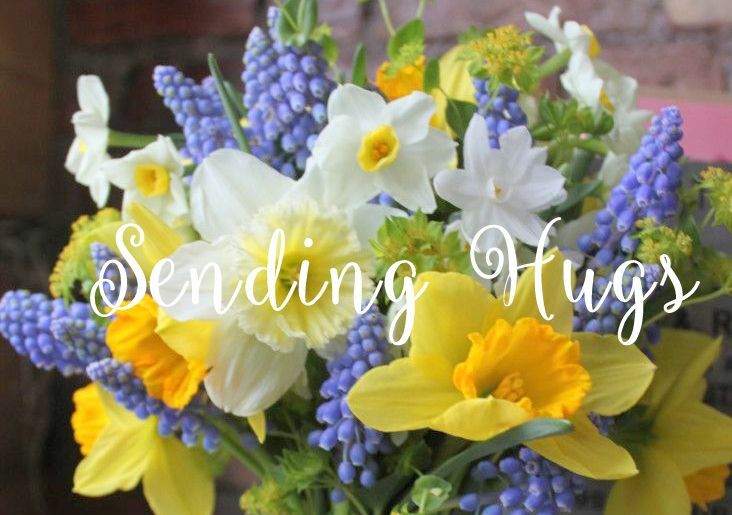 Sending Hugs: Celebrating the Fifth Anniversary of A Blog Named Hero! 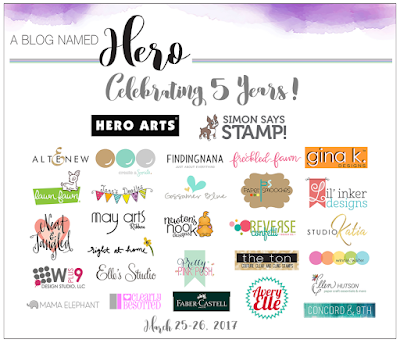 Celebrating the Fifth Anniversary of A Blog Named Hero! Hero Arts made several of these negative print stamps that allowed open spaces for coloring the images, while inking the details and background. I chose to white emboss this one over an aqua gingham design paper. I darkened the centers of the flowers by dabbing on some peacock feathers distress ink, trimmed the image, then popped it above the card front, adding some of my favorite pearls and a pretty ribbon. Comments must be left by 11:59 pm on Tuesday, March 28, and winners will be announced on March 30. So get hopping! Your next stop is Francine Vuilleme - I know she'll have something wonderful to show you! If you'd like to begin at the start of today's hop, please start at A Blog Named Hero. Thanks, as always, for coming by, and enjoy the rest of the hop! Gorgeous-LOVE the embossing on the patterned paper-I'll have to try that! WOW. Love the stamping on gingham...it's AWESOME. OMG! Beautiful card...my favorite color! This card is soooo gorgeous!! Love it! Thanks for the inspiration. Loving this color and technique!!! Your use of pearls just make it! The card is great. I'm not sure I figured out how you did it but it is beautiful. What an awesome card! Stamping on the gingham is a great idea. Okay, embossing that large stamp on patterned paper-GENIUS!! LOVE this idea!! I think my mind has just been blown! I would never have thought to emboss on patterned paper! It just never occurred to me. Thanks for that great share and this beautiful card! how you darkened the centers of the flowers. 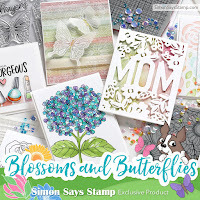 as always you have designed a gorgeous card, Lin - stamping and coloring on patterned paper is such a great technique! This is such a great idea! I never would have thought to emboss over patterned paper! This is just gorgeous! Love the card and color, too. This card is so gorgeous! 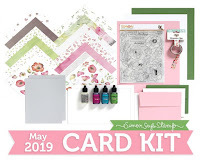 I just love how you stamped that background stamp over the patterned paper---beautiful! What a fabulous card. I love it! What a great idea. Beautiful card. Love that shade of blue. Thanks for sharing and a chance to win the give away. Love your card design and the teal colour you used! What a FUN technique! Loving that bright pattern paper. Your card was awesome! Thank you for sharing! That's gorgeous. Clean and simple, and elegant. Love the effect of this card! So beautiful! Oh, your card is so beautiful! Your technique of embossing over patterned paper is so cool. I will try this, too. Thank you. What a great technique. Love the colors too. You did so much with only printed paper. So simple and elegant. This card is gorgeous, love it! I have not seen stamps like this. Took me a minute to see what you did but I really need to look for these. Card is gorgeous! I love this card, particularly the layout. This card is just so lovely! I can't wait to try this. Wow! I just love everything about this card. Thanks for sharing how you created the flowers. They are exquisitely done. Gorgeous card! 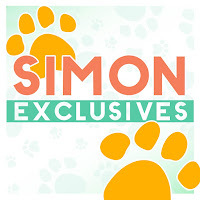 Love the patterned paper background, your use if embellishments and ribbon! Oh my gosh, that is gorgeous!! Love the colors too! Oh my! Absolutely love this card! A little class, a little country, a little frilly all in one. A winner! Love that gignham paper used for the flowers. So clever. Beautiful. I love the color you chose. Very elegant. Fantastic card, Lin!! The combo of gingham and florals is classic. I never think to emboss over patterned paper, love this! Thanks for the inspiration. WOW! I love love love this technique. Don't think I have seen it before, but I could think of sooo many beautiful papers that would look beautiful with this! 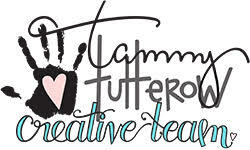 Loving this blog hop with all this talent and inspiration! Thanks for sharing yours! This card is fantastic, just love it! This is just stunning, I love that colour. you've inspired me to keep trying with those large negative images, they have baffled me in the past. Beautiful. III never would have thought to stamp on the patterned paper. love the addition of the pearls. That card is just amazing! How clever! I never think of using patterned paper. I love the embossing over the large area! Thank you for posting. Your card is awesome! I love it! WOW! This is so stunning on the gingham paper! Pretty card. I forgot how cool the results are when stamping over patterned paper. I luv luv luv, anything plaid. You just won my heart. You win the award, the most clever card! Love it! Love this card. The use of Gingham paper was perfect with just the right finishing touches. Great job! Did you emboss on a patterned paper then add solid color? I cant quite understand, bit Im fascinated by the way the flowers are part pattern, part solid. Im sure you don't have time to answer, but Id love to learn more on how you did this. Absolutely love the way you used the gingham paper! Embossing on patterned paper - I would never of thought of it. 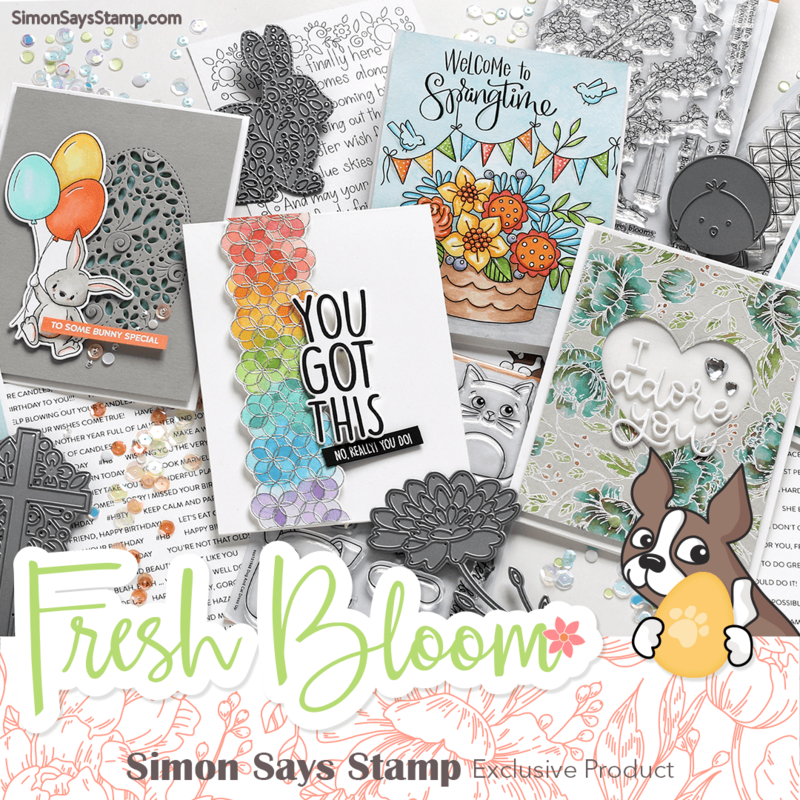 Love the Hero Arts large blossom stamp. Got to try this. Amazing card! Love the white embossing over gingham! What a cool idea! Gorgeous, Lin! Your card has everything that I love - gingham, a bow, pearls ... I could look at this beautiful card for hours! Beautiful, stylish card in great colours ! 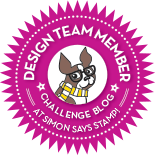 Great idea to emboss on a patterned​sheet of paper! Gorgeous, such a delicate and elegant beauty! Love your whole design, thanks for sharing! Love the design. Very pretty. This is a very sweet card that offers a soft feeling. Beautiful! I have no other words. Thank you for sharing your creativity! I love the embossing over gingham! So pretty!! Beautiful card design ! Happiness always on your 5 year anniversary to a blog called hero ! I Love this card! One of my favorite colors and embossing, which is my favorite techniques. TFS! Wow - embossing over patterned paper! Amazing! I love the pretty blue & flowers!Gorgeous card! I love the embossing on pattern paper! Lovely! The light blue and white combo is so refreshing! wow! luv the die cut against the background! I have that stamp, never thought of doing anything like that, it is awesome. Who doesn't love gingham...what a great card! Stunning result on gingham paper ! Another great tip. Lovely card. How how beautiful. And another idea I had not thought of to use embossing powder. Beautiful card. I have tried stamping on patterned paper and mine is no where near as gorgeous as yours. The gingham is perfect for the card. 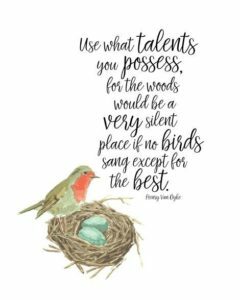 Thanks for the inspiration and participation in this blog. Wonderful coloring on the negative image stamp. I love the new header, perfect for spring. Happy Belated Birthday, and your card reminded me that I love that stamp too. It is gorgeous with that ribbon and gingham back drop. Another oh so case - able card. What a great technique. Thanks for the inspiration and a chance to win. This is so pretty! Love the color and layout - just perfect! Perfect card! Thanks for the inspiration and for the opportunity to win! I love this brilliant technique! Have to try it. Happy anniversary to the blog name hero! What a beautiful card, I love the simplicity. Omg definitely my favorite! Such a beautiful card. This hop has been unbelievable - the cards just keep getting better and better you ladies have outdone yourselves on this hop - thank-you all so much. Congratulations to the ladies on their 5 years as well. I love your gorgeous card! Totally love this card. The colors and the design really catch they eye. Such a pretty card Lin. Love the background paper! Perfect with the white heat embossing. The ribbon looks lovely. Wow! Your card is beautiful! So different from anything I've seen. Wouldn't it be wonderful if all "oldies" looked this good? Beautiful colors on such a pretty card. It is so nice to see some of Hero Arts old stamps come out of hiding. Think I'll dig out some of mine and get to work. I love the gingham print and white embossing. Very elegant card. Gorgeous! I love the background on that gingham. So pretty! I just love how you used a pattern paper for your background, beautiful card. Love the color of you card! Such a beautiful job embossing on the pattern paper so pretty! How pretty and different. Very nice card. Beautiful card. Love the colors. Thank you for sharing! Gorgeous card and colors. Thanks for sharing. I have never seen this technique - how stunning! Thank you so much for sharing this - it inspires me to rethink how I'm using my materials. Cheers! Beautiful. Love the embossing over the printed paper. The stamp set was perfect for this! What a breathtaking card! Love the color! Wow, this idea never came to my mind, but it is really stunning. I love your card! Oh Lin, how gorgeous is THIS??? ♥ IT! This is so pretty. I love that color. what a great idea!! i love the white embossing over patterned paper! What a great idea to emboss over patterned paper. I like that you added color to the flowers. This is my kind of card! Love the colors and layout! I like the gingham in the flowers, embossing over the gingham! I love, love, love this card! The color is amazing! Took me a second to figure out how you created this beautiful card. Beautiful card. Love that colour! Wow! This made a stunning card! Love your new seasonal header too. This is one of my favorite images, and I love what you have done with it. Beautiful card! TFS. Such a lovely card! Love these monochromatic look with the texture. I love this card. I kept looking to try to figure out how you were able to keep the gingham before I read your description. Absolutely BEAUTIFUL! Nice card.Thank you for sharing. Beautiful colors .... gorgeous design. LOVE IT! Lin, this is just so elegant. I miss seam binding. I have got to dig my stash out, I know it's somewhere. Ahem. Thank you so much for helping helping us celebrate at A Blog Named Hero! Your card is beautiful, love the embossing on patterned paper look! Thanks for the inspiration! Love the gingham look on the flowers! This is an awesome card! I have at least one of those type of stamps--might be this one! 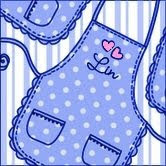 I immediately pinned your card & now I have to find my stamps & use them like this--just love it, Lin! This has been so much fun! Love the monocromatic look on this card! I am going to do this with one of my large bkgrd. stamps and some of my older dsp. Love the look you created! Lovely card and beautiful colors! Your card is SO different from anything else on the hop. It's gorgeous! Amazing embossing over that sweet gingham. This card just sings to me. Gorgeous card! Thanks for sharing this technique. So cool! that is so pretty! I thought it was paper piecing until I carefully read the description! Stunning. What a great effect to stamp on the gingham check. Love it. Thanks for sharing. This is one of my favorite cards even though I'm not sure how you did it. Love your card and the color! That's my favorite color. Thank you for the chance to win! Love your cards! Thanks for sharing how you made it! OMG, my favorite card yet! I love the color you use. I've never heard of a negative print stamp, but I believe this is one of the MOST STUNNING CARDS I've ever seen...seriously!! I love gingham & blue is my favorite color and I just really really want that stamp right now!! Love it. Need to look at my pattern paper. Love the teal! And gingham just is over the top! Lovely card!! Such a lovely card! I love the colors and the ribbon and pearls add such a perfect touch! Beautifully done, Lin! Love the crinkled ribbon. Such a pretty card. I love that shade of blue! Never thought of embossing on patterned paper. Love the idea! Beautiful card, it made me smile! 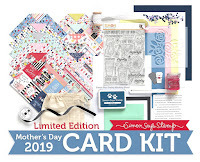 Your card is gorgeous, and I love the gingham texture. Beautiful colors! What a great idea! As someone else said, hops are so much fun!! What a great idea to stamp on patterned paper! I love the plaid showing through. Your card is beautiful! Your card is amazing! Thanks for sharing and celebrating the 5th anniversary of ABNH with us. I am with everybody else. The white embossing on the gingham, with shading, is great! I love your card, it is simply beautiful. Very pretty - love the teal! I really like your monochromatic card. Lovely! Wow! What a delightful way to use this stamp; who knew! The use of pattern paper with white emboss is nothing short of genius! TFS. Love it! Great card. The white is a perfect choice over top of that gingham paper. Beautiful monochromatic look with my favorite color.